We’ve all heard of “Dreamers” and the their plights due to actions of their parents. The pressing immigration question for the next month: what do we do with them? Why is “the next month” so critical? After all, we have let the DACA issue ride as-is for decades. It’s critical because Democrats (who are screaming for some political fodder that might give them a tidbit of legislative credibility) will demand DACA be tied to any debt limit increase that must be accomplished by January 19. And DACA is their PC credibility fuel. We’ve heard from the Dems these “kids” — the Dreamers — are just a bunch of really smart and innocent little children who came here with parents when really young and had no say-so in that process. Not true. First, most Dreamers are now in their late 20’s and not young children. Second, many are NOT innocent and have avoided the process of becoming legal. After all, Democrats have promised them full citizenship which certainly would have happened in a Hillary presidency. A lot of Dreamers are NOT who should become American citizens. This is illustrated in these statistics. Twenty-one percent of federal inmates are suspected or confirmed to be non-citizens, according to statistics released by the Justice Department last Thursday. According to the latest U.S. census, only 12.9% of the total U.S. population was foreign born. An executive order signed by President Trump called for the federal government to release quarterly reports on incarcerated immigrants. The DOJ and Department of Homeland Security released its third report last Thursday. There are 39,455 immigrants currently in the custody of the Bureau of Prisons, which amounts to 21 percent of the total population. Authorities have compiled a list of 50 of the 2,139 DACA recipients, deemed “DREAMers” by the open borders lobby, who have had their temporary protected status revoked due to crimes including: “A felony criminal conviction; a significant misdemeanor conviction; multiple misdemeanor convictions; gang affiliation; or arrest of any crime in which there is deemed to be a public safety concern,” according to the United States Citizenship and Immigration Services (USCIS) agency. Anytime those on the Left clamor for any legislation they always present it as what Americans want and need. And anyone who disagrees — especially on immigration — disagree because of racism. It is true we have a tremendous immigration problem that must be resolved as soon as possible. But thanks to decades of doing nothing about it at the federal level we have a very ugly quagmire that needs extreme and detailed re-structuring when Congress finally decides to address the issue. When they do, it will NOT be resolved quickly and it WILL be an ugly battle. Trying to accomplish it in 30 days would be suicide. But Democrats have said DACA MUST be part of the debt-limit increase or they will shutdown the government. First, Congress MUST pass a debt-limit increase with a “clean bill” — no other items attached to it. President Trump needs to issue a second Executive Order extending by 6 months his existing DACA termination status date to allow Congessional action. The new E.O. Needs to include a provision that any new immigration law for DACA must include the border wall funding and provision to completely close both north and south U.S. borders to illegals . Without these, DACA’s termination will be final. 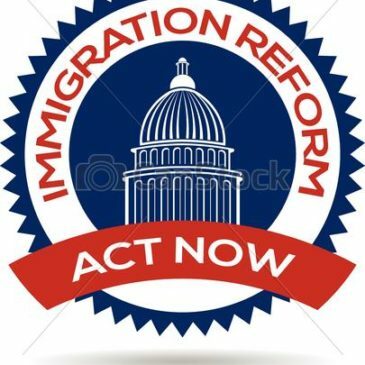 Isn’t it time for Congress to take immigration action that is first best for American citizens and secondly good for LEGAL immigrants? That’s what most Americans want led by most LEGAL immigrants already here! Honestly, the frenzied demands by Democrats for wholesale open borders has nothing to do with kindness or concern on their parts for immigrants. It’s only for the virtual guarantee for Dems to permanently take control of the federal government by creating the forever-present obligation for immigrants to vote for the Party who gave them permanent legal status. IT’S ONLY ABOUT VOTES! Let’s for once stop with the fake concern and be honest for a change. Let’s fix existing or craft replacement immigration laws that are safe and fair for American citizens AND immigrants — in that order.